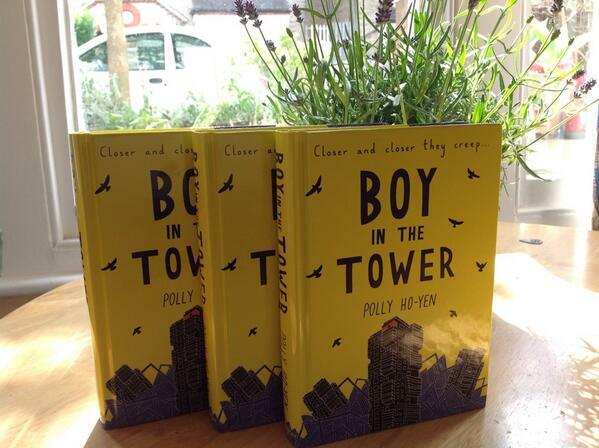 Next month brings the publication of my debut novel, Boy in the Tower. It has arrived, shiny and yellow, like a newly hatched gosling, onto my doorstep and suddenly the timer is running low; I’m watching the very last few grains of sand slipping silently away towards publication day. People, other than my loved ones, are reading it! A friend from work told me that their son cried when she said it was bedtime and it was time to stop reading. Another that they lost a day to it, another that it made them miss their tube stop. A person who I don’t know has said this about it. Despite this, I can’t help feeling that this is all a glorious mistake. But I don’t mind too much.